Growing up with a mother who is a former chef, I was always surrounded by delicious, fresh, home cooked food, but it wasn’t until my “adult” years that I began to follow in her culinary footsteps. Over the years, I’ve become more and more conscious of what I feed my body, and ultimately this is what lead me to a love for cooking. 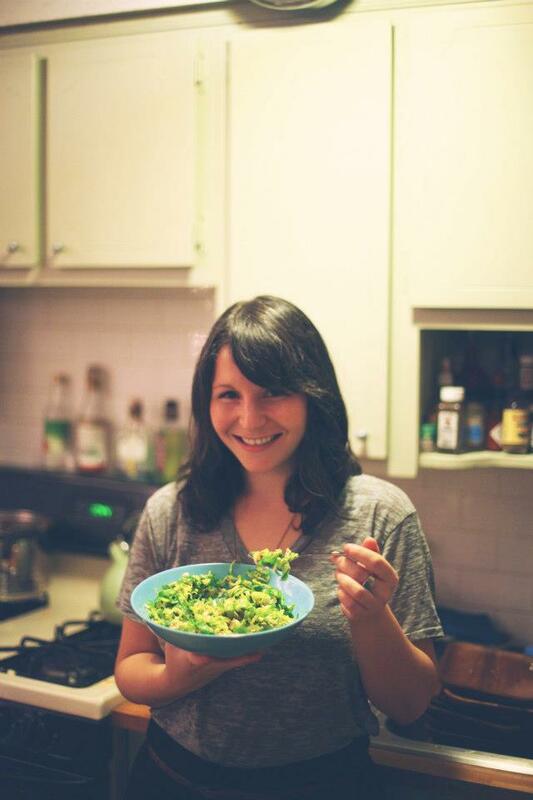 So, I began Sprout & Pea as a way of documenting and sharing my experiments with food. Soon after starting Sprout & Pea, I began hosting a successful supper club in Brooklyn, and attended culinary school at The Natural Gourmet Institute. I’ve now transitioned these passion projects into a catering and private chef business. If you’re interested in learning more, you can visit the Brooklyn Fork & Spoon website. We’re still hosting monthly dinners, and we hope you’ll join us! Cheers to good food and to good company. Thank you to Nicole, who inspired a new vision on food.